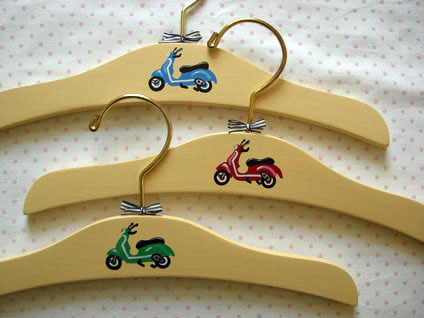 Here are some adorable vintage-y hangers for your little ones. $36 for a set of three and you can choose the colors. This find from Julie G. Thanks Jules! This entry was posted in Clothing, Miscellaneous and tagged childrens, scooter, vespa, vintage hangers by Tracy. Bookmark the permalink.